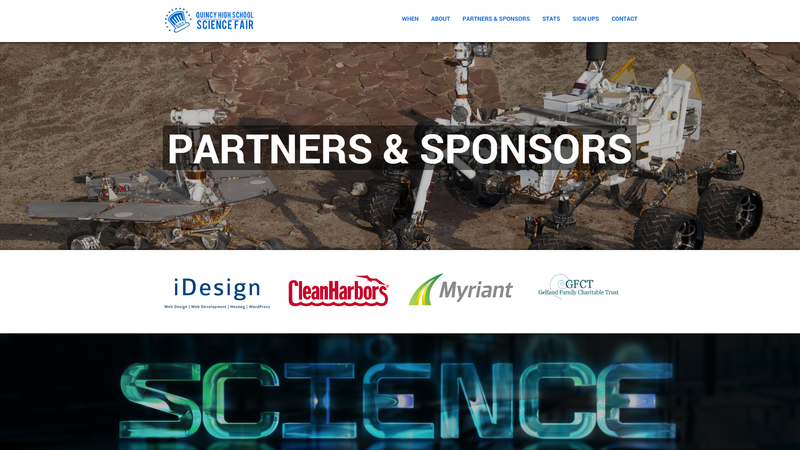 Each year, approximately 200 students participate in the Quincy High School STEM (Science, Technology, Engineering, and Mathematics) Fair held on the second Wednesday in February. The in depth projects help Quincy High School students build career and life skills for success in 21st century careers, such as critical and creative thinking, communication, teamwork, and ethical decision-making. Students work one-on-one with teachers and professionals year round to follow their natural curiosity and explore "real world" science and engineering problems. This past week we’ve been playing around with parallax design, where items scroll at different speeds on a page. Which gives a different viewing experience, and can create some pretty amazing effects. 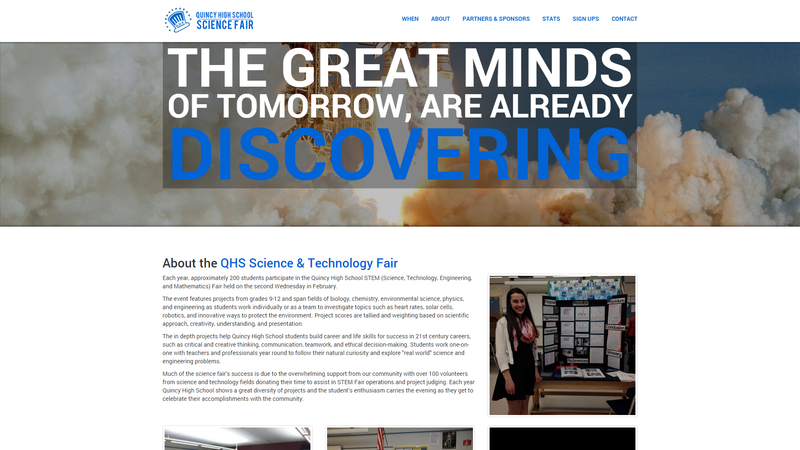 We ended up building a brand new website for the QHS Science Fair to utilize these new tools and test ourselves. The old site was a quick, one-page WordPress site that had a flyer and links to sign up for the event. We put together a sleek new parallax site, one-page still but with new content sections and some great background photos. The site is built with Twitter’s Bootstrap, is fully responsive and mobile ready, using HTML (some HTML5), CSS3, and jQuery to provide a variety of features. The site has a countdown timer, smooth scrolling, Slab Text (dynamically changes font sizes to fit rows of text into the same width boxes) as well as an embedded Google Map that activates when you click on it.